Chris Mullin and Tara VanDerveer named to 2011 class. When the class of 2011 is inducted into the Naismith Memorial Basketball Hall of Fame in August, a pair of people with Bay Area ties will be there. Chris Mullin and Tara VanDerveer are two of the ten people set to be inducted during the weekend of Aug. 11. 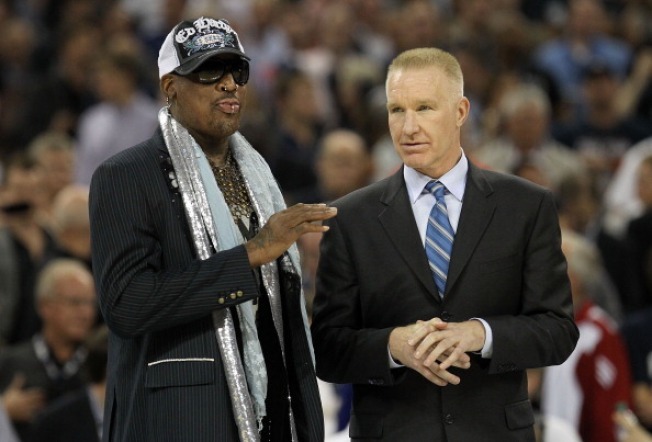 Mullin is a five-time All-star. He won the Wooden Award as best NCAA player in the 1984-85 season. The 47-year-old remains the all-time leading scorer for St. John's University. He was drafted by the Warriors in 1985 and finished his career with Golden State in 2001. He is a two-time Olympic gold medalist. Mullin won with team USA in 1984 and 1992. Last year he was inducted into the Hall of Fame as part of the 1992 Olympic gold medal winning "Dream Team". VanDerveer calls her induction bittersweet. The news came just hours after the Stanford women's team was ousted from the NCAA tournament by Texas A&M. The Cardinal coach has five NCAA Coach of the Year Honors and is an 11-time Pac-10 Coach of the Year recipient. She began coaching at Stanford in 1985, leading the team to two national titles and 19 Pac-10 regular season titles. VanDerveer was also the head coach of the 1996 U.S. women's Olympic gold medal team. This past season she won her 800th game. Only five coaches in Division I history have achieved that mark. Other inductees into the Hall of Fame include former Chicago Bull Dennis Rodman, coach Tex Winter who innovated the "Triangle" offense, Philadelphia University's Herb Magee, NBA and ABA star Artis Gilmore, former Portland Trail Blazers center Arvydas Sabonis, Olympic gold medalist Teresa Edwards, Harlem Globetrotter Reece "Goose" Tatum and Boston Celtic Tom "Satch" Sanders.